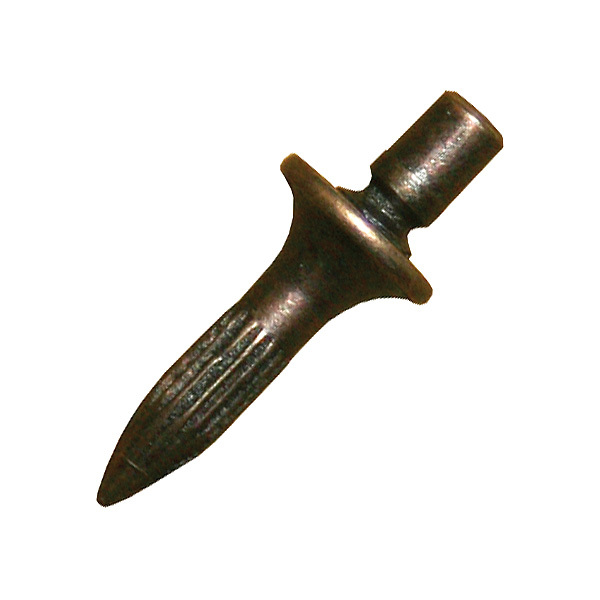 A unique reference marker with a snap-off head that can be hand driven into the hardest concrete without the need to pre-drill or use cartridge guns. Has a unique protruding head which can be left as a proud mark. Alternatively by twisting the setting tool the head can be snapped off leaving the Pin-Mark flush with the surface. The setting of Pin-Mark is safer and far easier to drive into hard concrete surfaces the head of the Pin-Mark is inserted into the end of the setting tool where it is securely held in position. Protects the hands and makes the setting of the mark far more accurate. The Pin-Mark is 18mm under head which is long enough for most applications and can be driven into steel timber and even the hardest concrete. 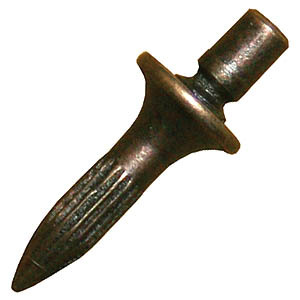 The protruding pin head stands off the surface approximately 9mm and when used in walls will act as a levelling point. Should you not require the protruding head then it can be snapped off after it has been hammered home leaving a 10mm wide marking head close to the surface. Step 1: Insert the Pin-Mark into the base of the setting tool. Step 2: Position the Pin-Mark and drive into the concrete with a lump hammer. Step 3: Remove the setting tool to leave the Pin-Mark proud or push and pull to snap off the protruding head.